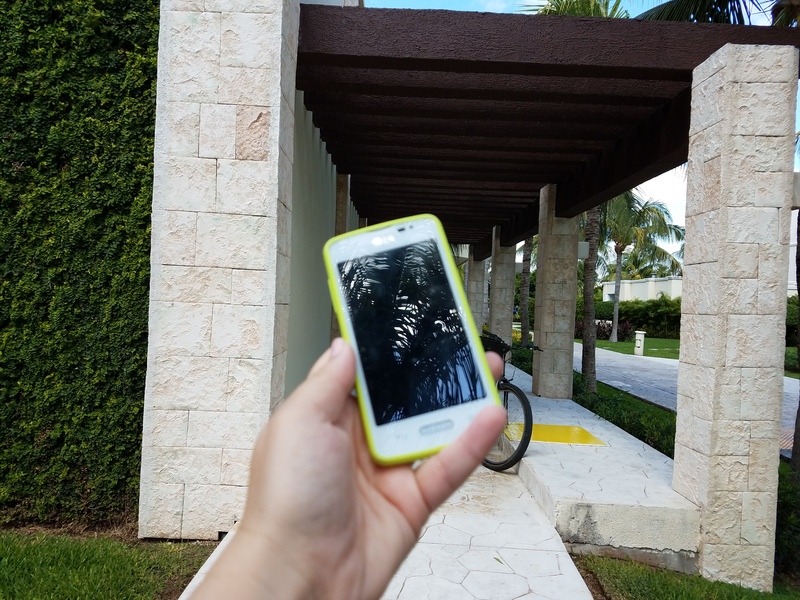 Moon Palace Golf & Spa Resort Cancun Review – It's a Lovely Life! 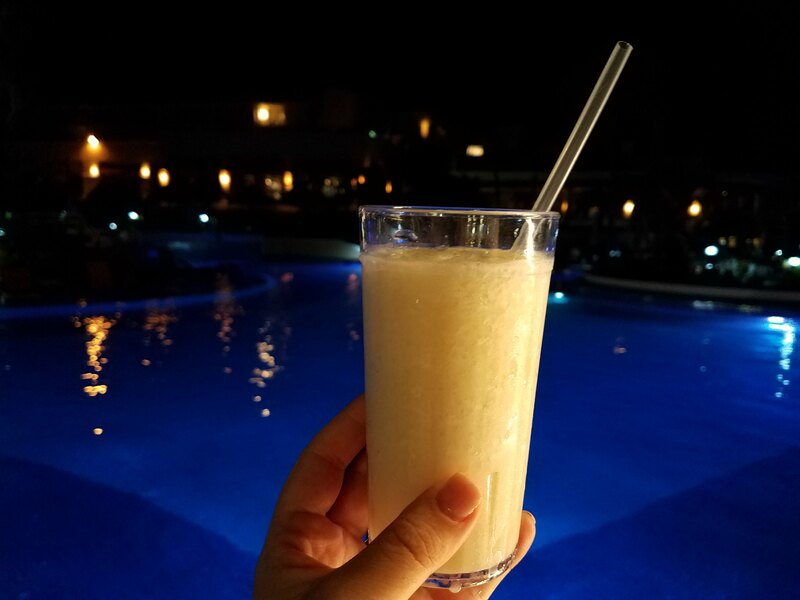 Our time at in Cancun with partner Moon Palace Golf & Spa Resort went by way too quickly, and I've been thinking about how I was going to write this review since the moment we left. The reason why? 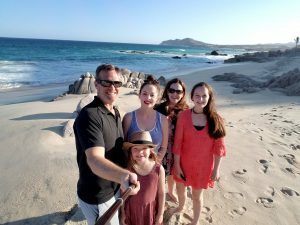 Because the resort is absolutely huge, and I have so much to share! 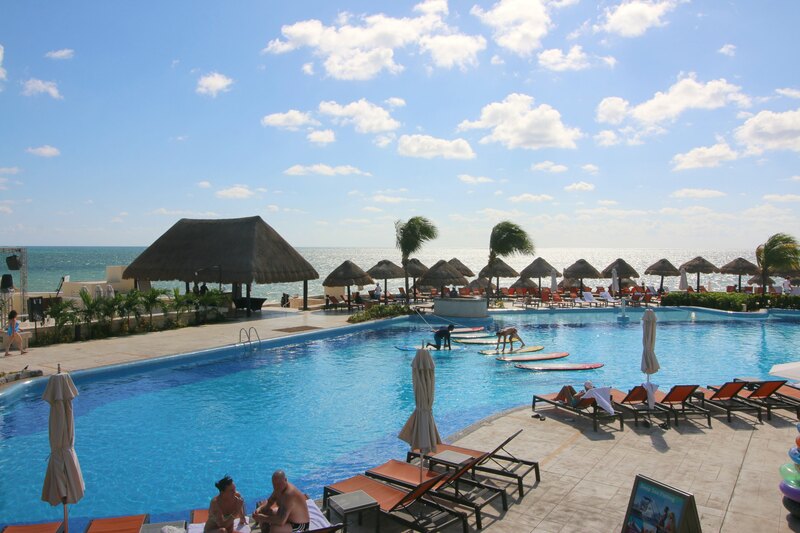 Moon Palace Cancun is located about 20 minutes from the airport on a compound all it's own. It is more like it's own city than a hotel. With 14 restaurants throughout, there are so many places to eat that you can't possibly enjoy them all in one visit. 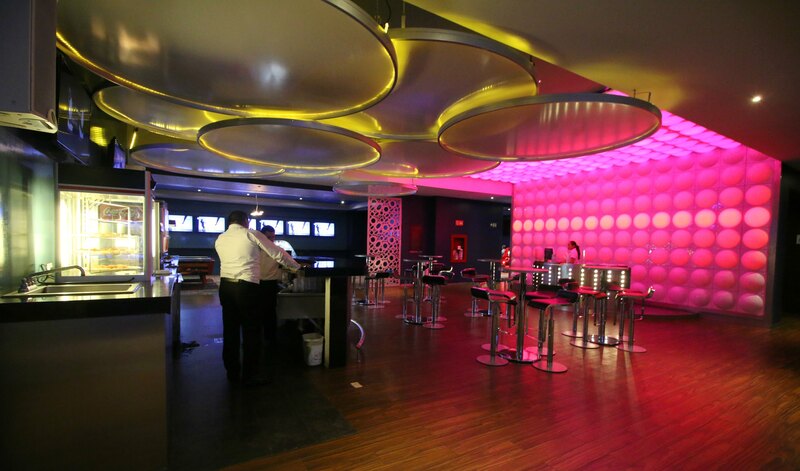 There are also a multitude of bars and snack places too. Every which way there is a beach, pool, bar, or place to eat. That is just the beginning! 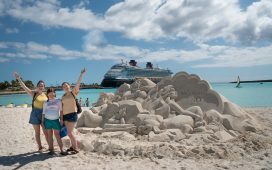 Since this is an all-inclusive resort, there is so much to do too, and it is all included! Moon Palace Golf & Spa Resort consists of three separate resorts, and we stayed in Nizuc which is in the middle of the property. The other two resorts are Sunrise and The Grand. They are all connected with beautifully landscaped grounds and are walkable to get to each one. If you require assistance, or would prefer to not walk, there are golf carts to take you back and forth. I also wanted to add that this was the most accessible resort I have ever been to with wheelchair ramps throughout. When you stay here, the following is included with your all-inclusive rate: Hotel taxes and gratuities (although we did tip on our own too because we wanted to), all meals and snacks throughout the resort, unlimited premium alcoholic beverages, unlimited natural juices and soft drinks, tea, lattes, cappuccinos, and espresso. 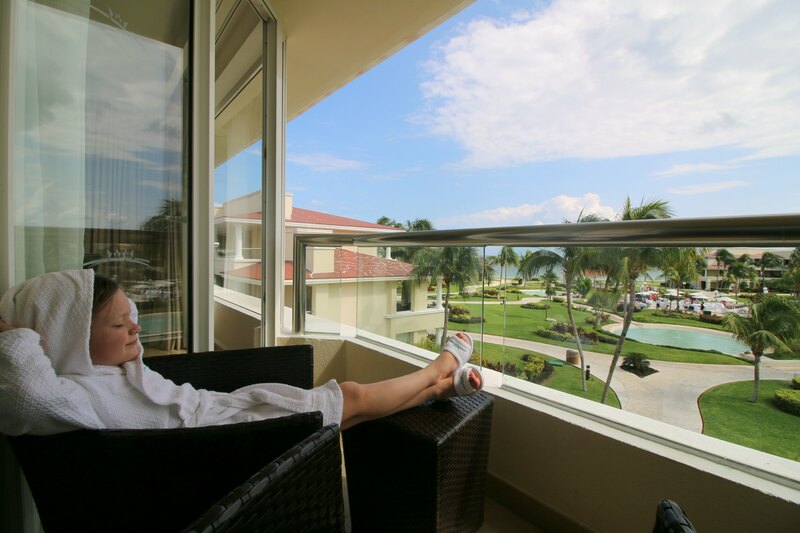 Also included is amazing 24-hour room service, access to the fitness center, wireless Internet access ( it was really fast for us), daily activities program and entertainment, theme parties and nightly entertainment, non-motorized water sports (see below) and towel service at the beach and at the pool chairs. 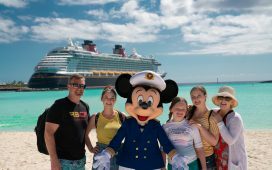 Pretty much everything you can imagine for an amazing vacation is included! 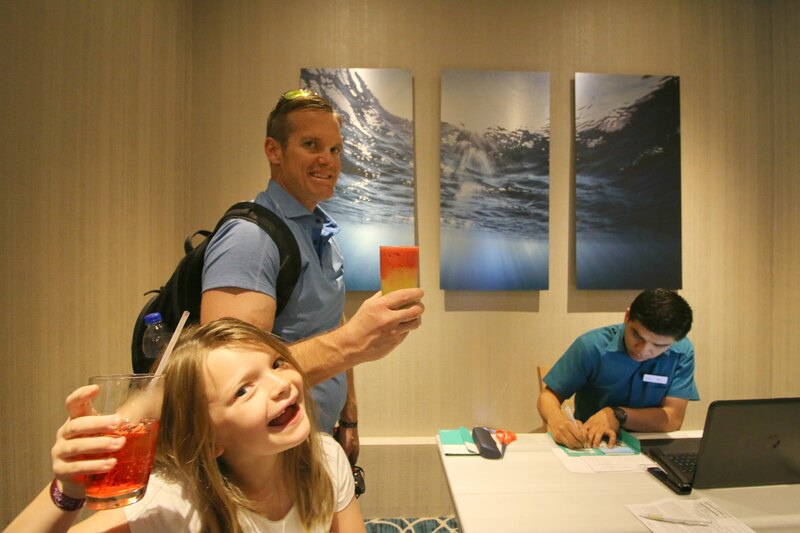 Even check in is quite the experience! Then there are the pools! 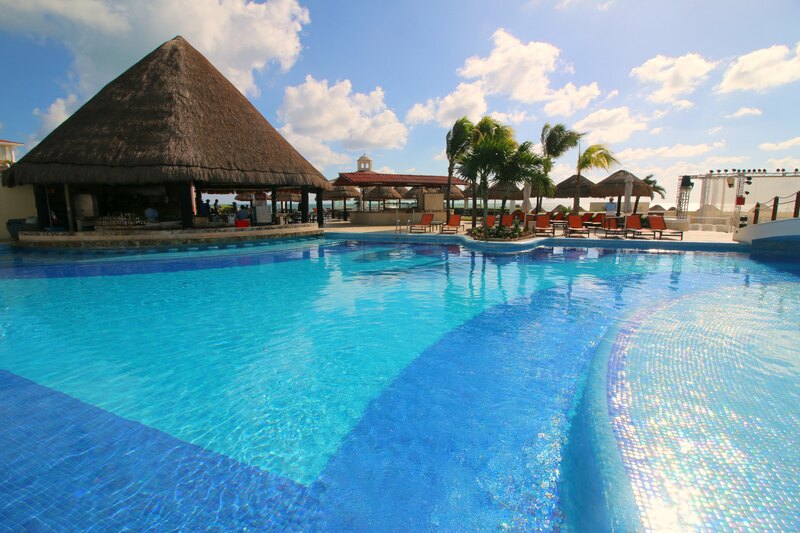 There is a pool area in each resort. 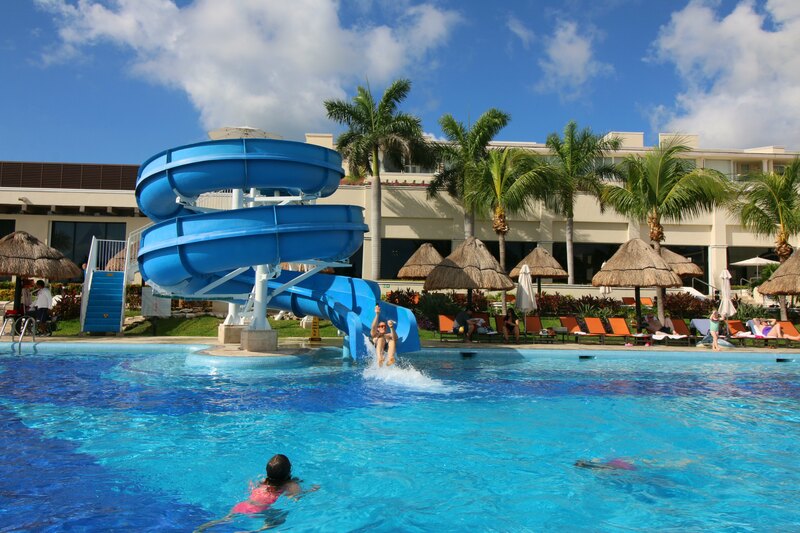 Our favorite was the one in Nizuc, where we were staying, because it had a huge slide! Over in Sunrise, there is even a kids pool area! 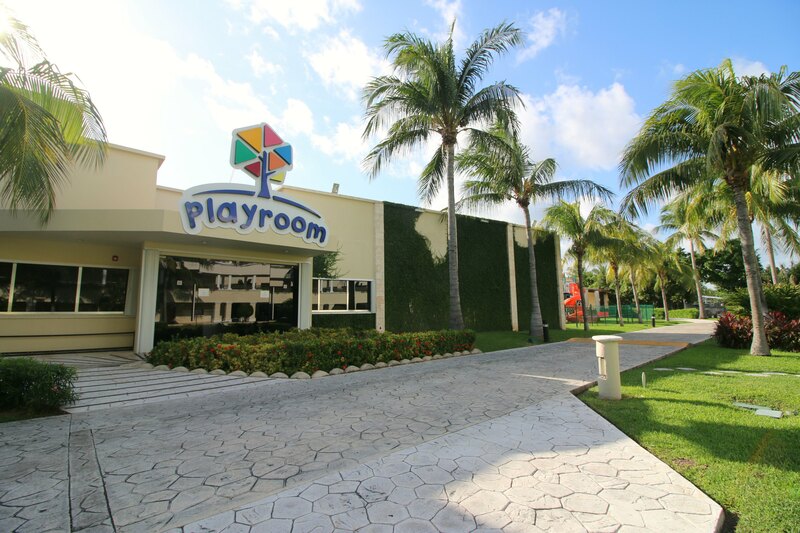 For the little ones, there is an extensive kids club called the playroom. 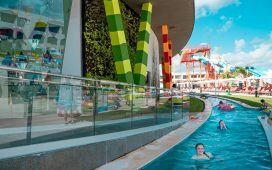 It is located between Nizuc and Sunrise and there is everything from a cafe for this kids to eat in, to a theater, fashion room, large play structure, and more! There is also a smaller kids club in Nizuc by the pool. 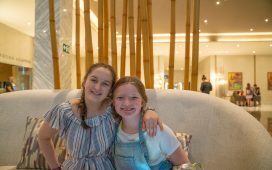 You can check out a phone from the kids club for them to call you if you are needed which gave us even more piece of mind to enjoy our vacation. 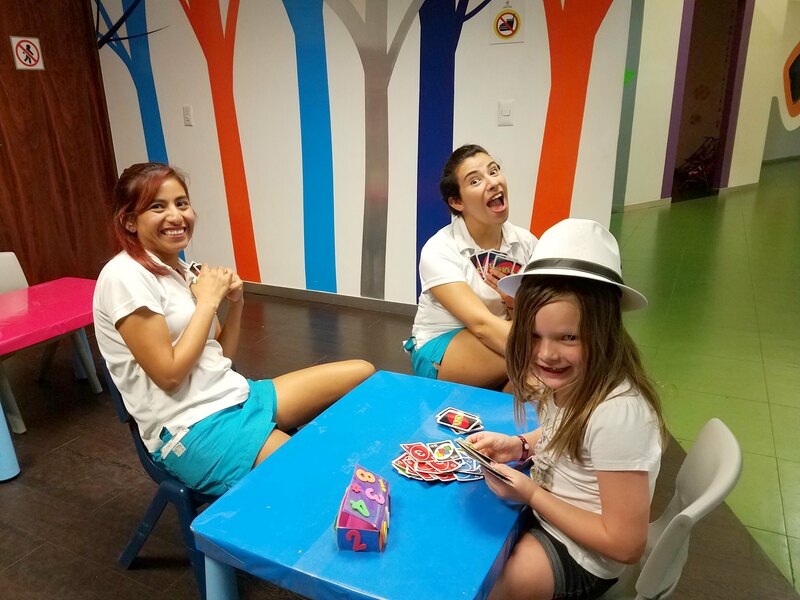 Over in Sunrise is a teens lounge! The girls and even Pete loved hanging out here. 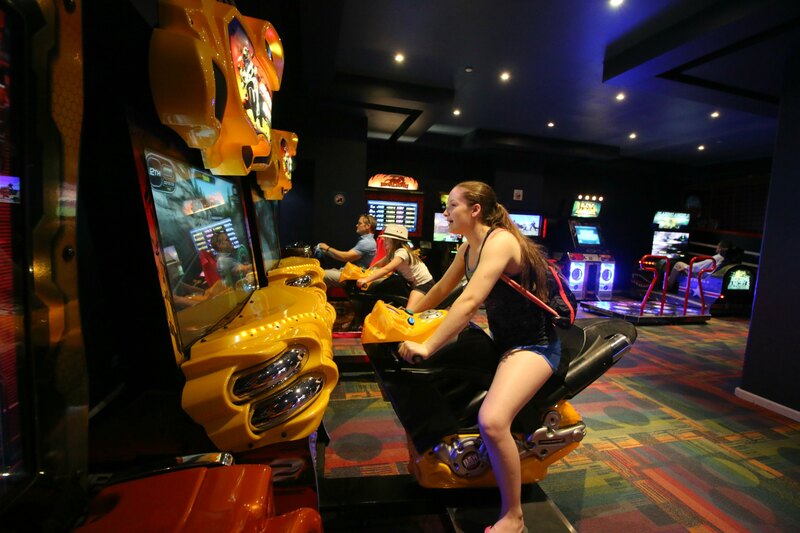 It has an arcade with the games ready to play. No need for money or tokens! 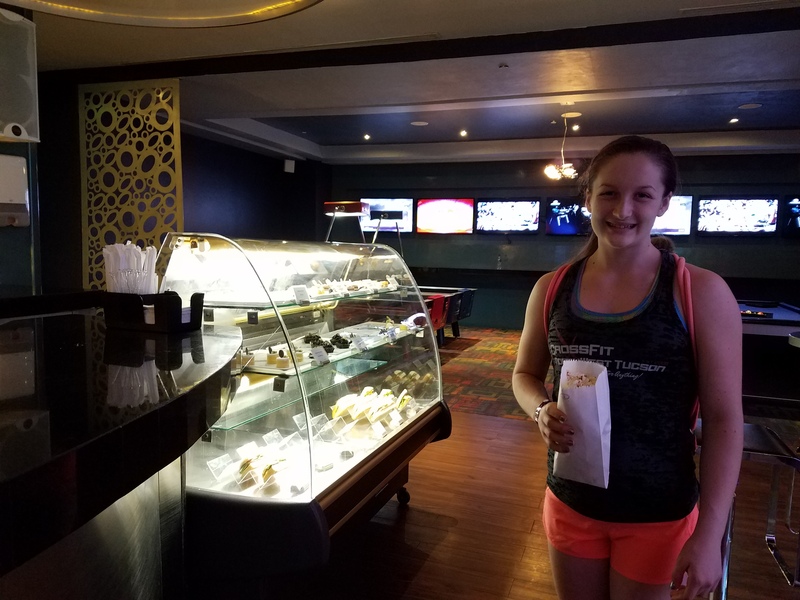 A sports bar area with all the games on, a video game lounge, snack bar, pool tables, and more. This place was really cool and probably the best teens area I have ever seen! I might have gone with Ash to the teen lounge just for the popcorn one night. They also might have this popcorn in the kids club too. (wink, wink). That stuff was so good! 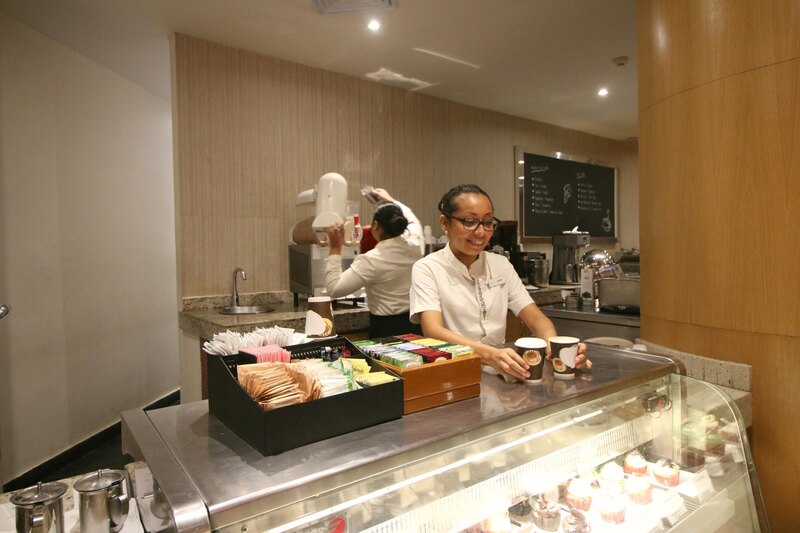 Teens also seemed to flock to the cafes for coffee and snacks like crepes, sandwiches, desserts, ice cream, and popsicles! Just wait until you see the beach! That water is so blue here and the sand so soft! 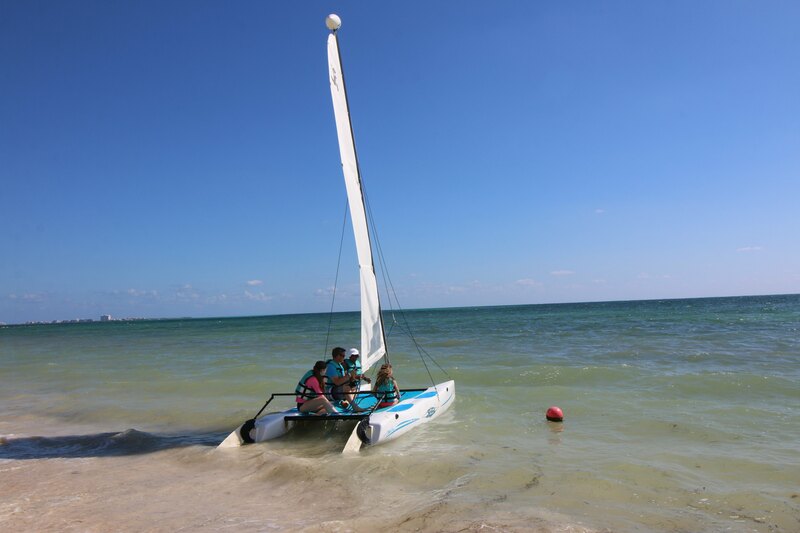 As part of the all-inclusive experience, you can even go sailing! Or do some stand-up paddle boarding yoga over the pool! 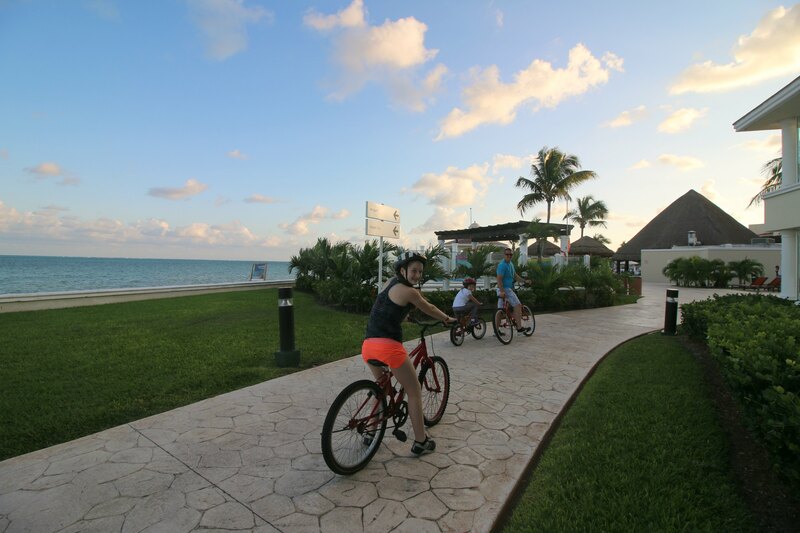 We also went biking along the beach throughout the resort…also included! 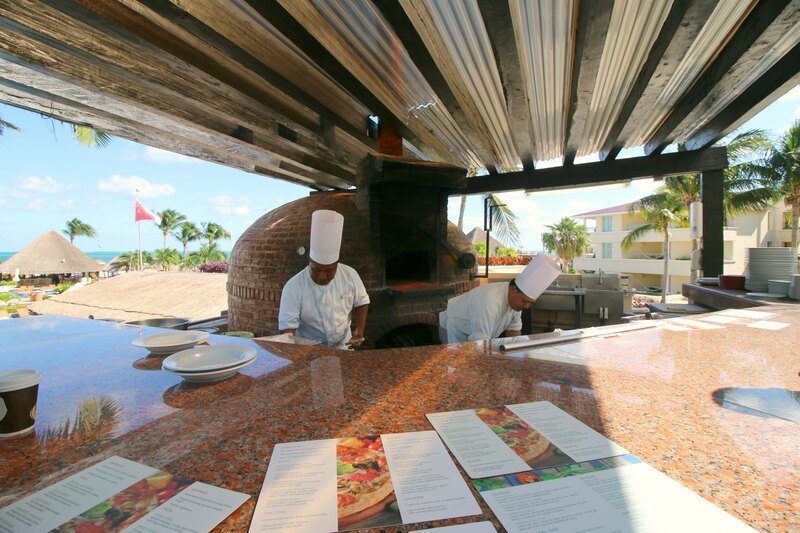 If you are foodies like we are, then you will love Moon Palace Cancun! 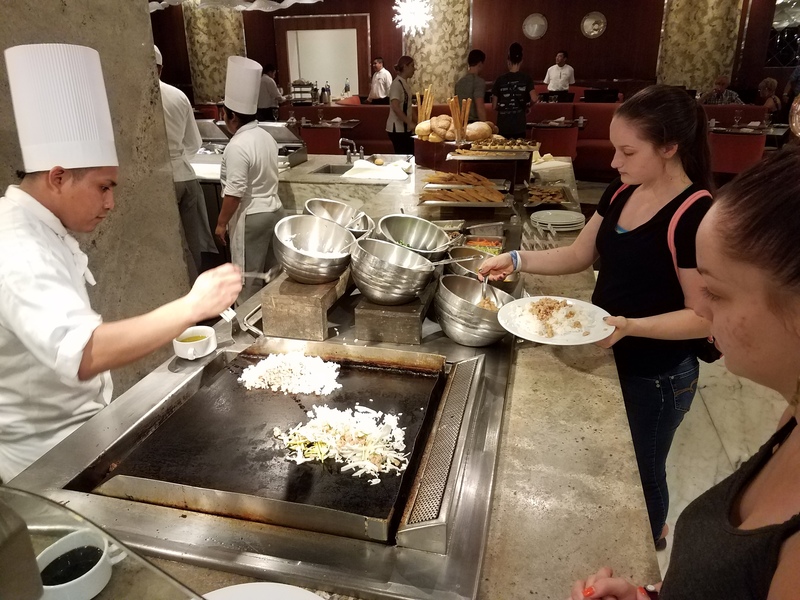 There is a buffet inside each of the three resorts on the property, and they each have a different flair. 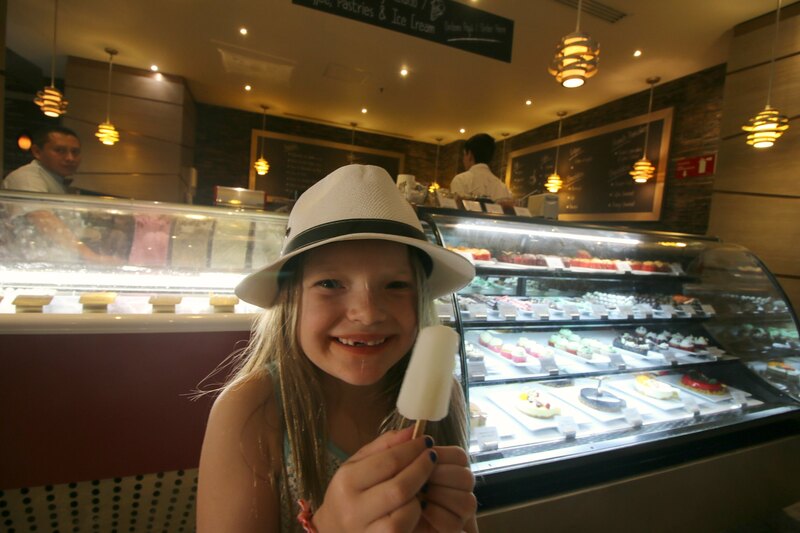 Our favorite was the one inside Nizuc. The service from every single person we encountered here was perfect, and at the restaurants there was no exception. They thought of everything you could possibly need. From carrying your plates to the table from the buffet, to having a new drink ready for you before you even knew you needed it, I would rank the level of service above a 10. It was impeccable! Every guest felt like they were the most important VIP there. where we enjoyed pizza, calzones, and Ash's favorite drink at the resort, a strawberry smoothy! 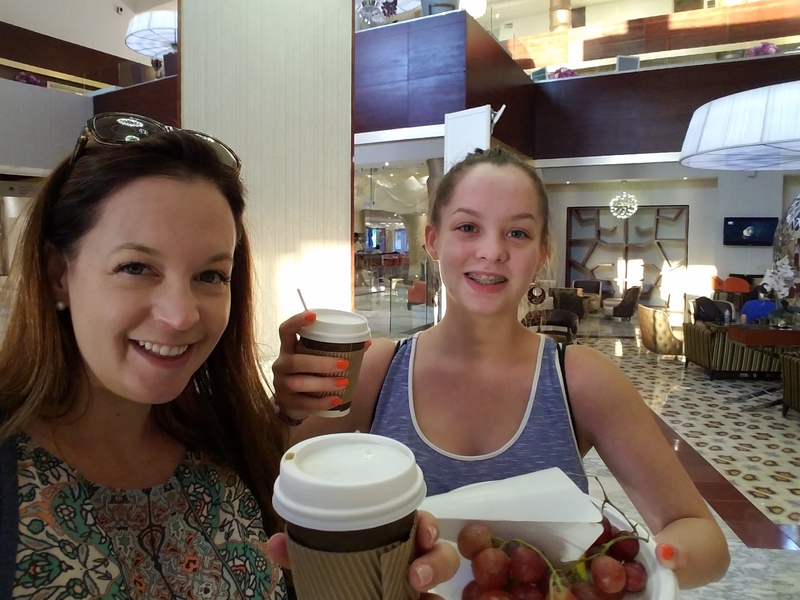 Maddie and I had more cappuccinos (with soy milk) than we can count! 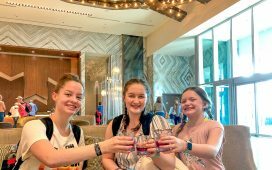 And of course, there were the adult drinks too! They didn't even bat an eye when I asked for mine without alcohol! Pete sipped the real deal, and said that they were fantastic! After we shared that we had vegetarians and vegans in our party, they kept showing us more and more things that we could eat. 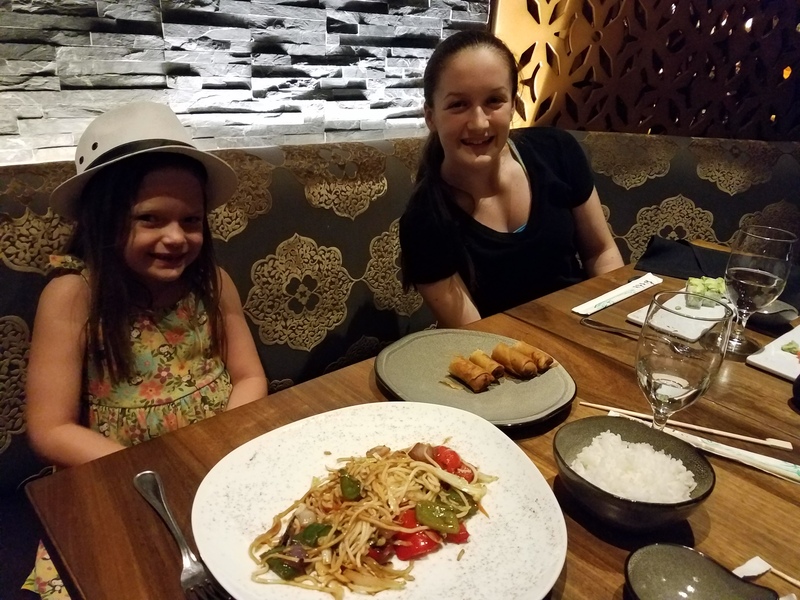 Including a faux-chicken made to order fried rice that Maddie and I are still craving! 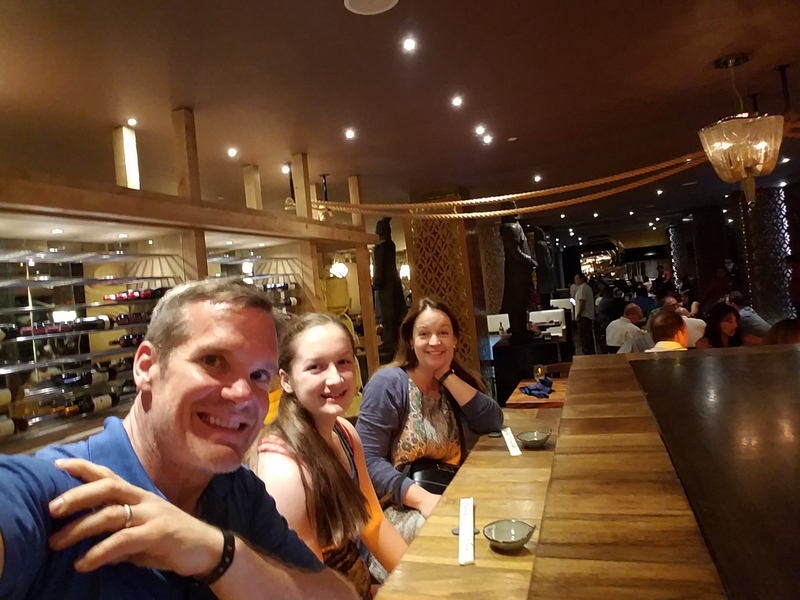 We also fell in love with the Japanese restaurant with the custom sushi! One night it was just Ash, Pete, and I and the other night Emmy joined us too! 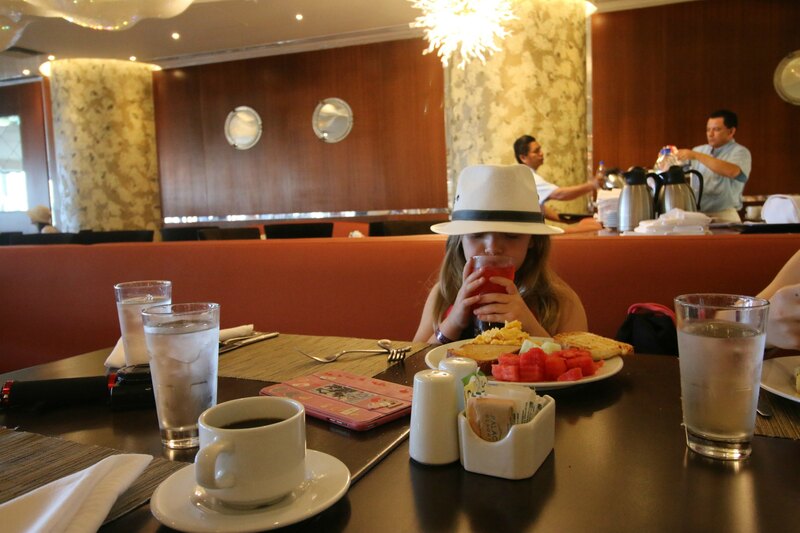 And of course, room service happened often. 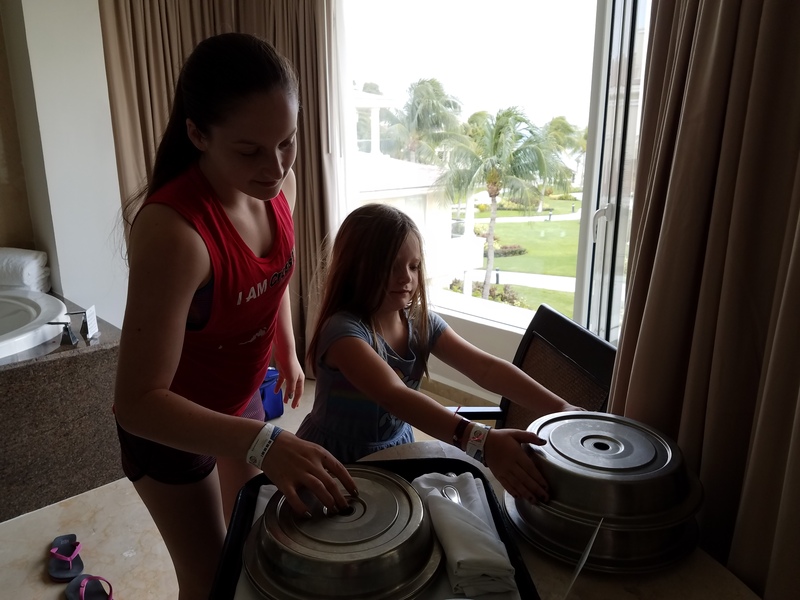 Our whole stay felt like we were constantly being pampered and cared for like family. 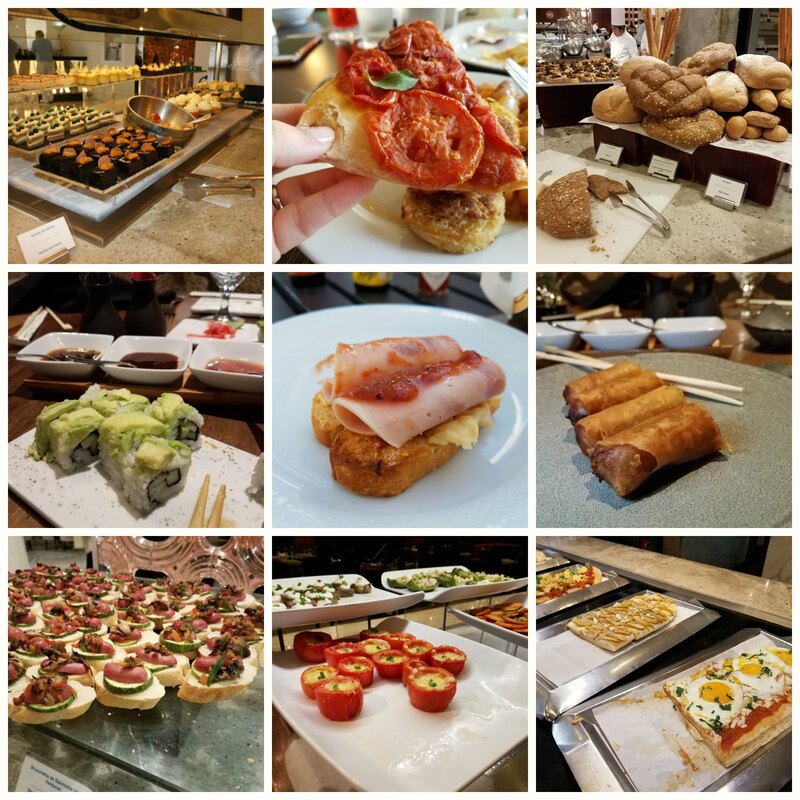 Here is a look at some of the other delicious food we enjoyed! Another highlight was the accommodations we stayed in, the family deluxe with two adjoining rooms side by side, connected by a common door. 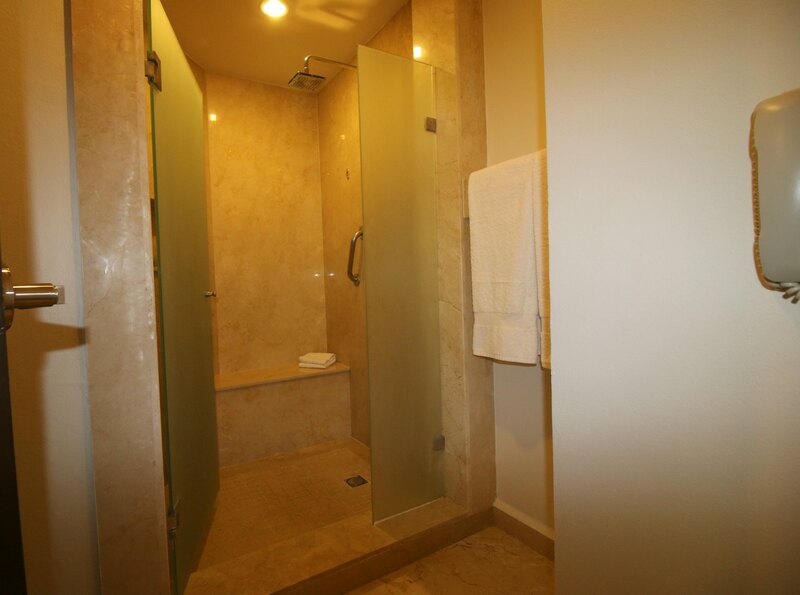 Each room had a luxury jet tub and a well-appointed bathroom. This is the girls' room. And this is Emmy trying to take over our room! 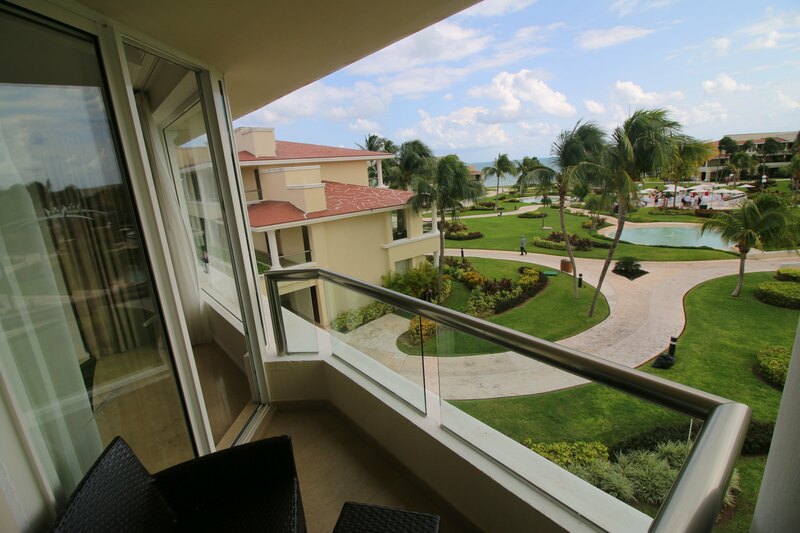 Our balconies were the place to be when sipping our morning coffee. The shower was great too! 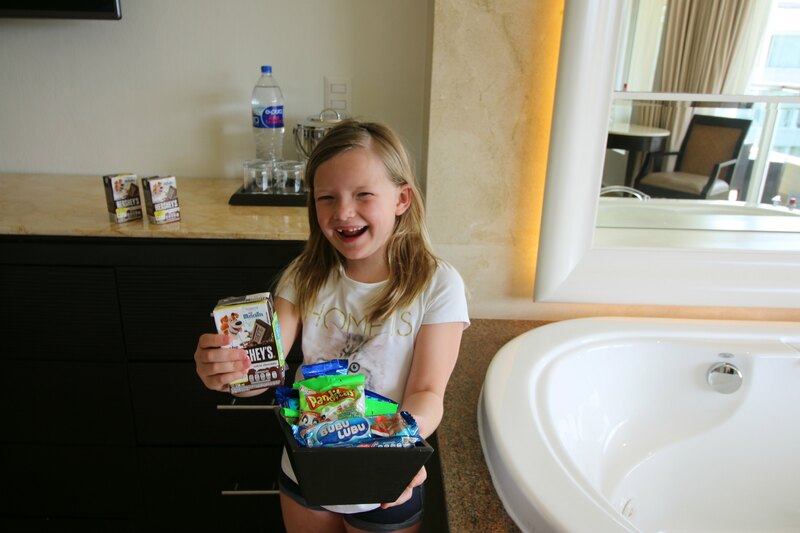 The kid's rooms come with special snacks and chocolate milk for the little ones along with beach toys, kids soap, kid-sized slippers, and robes. 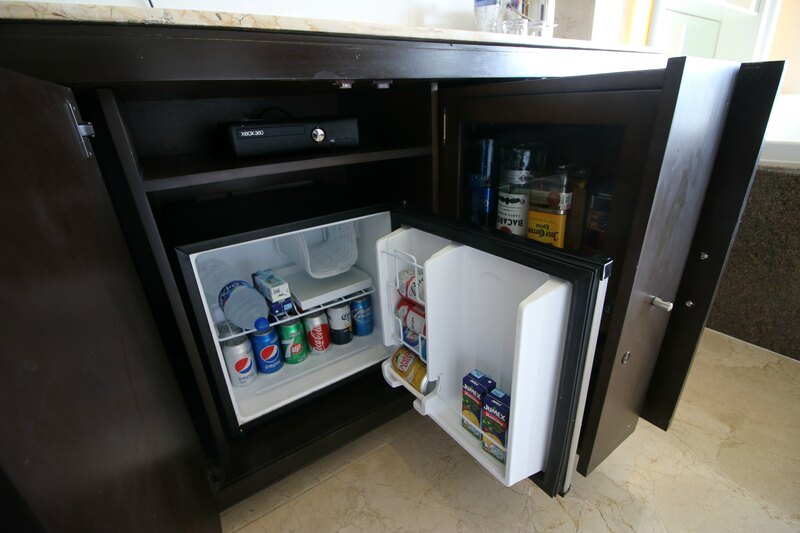 We also had fully stocked mini-bars with ice cold water, soda, juice, beer, and alcohol that was replenished daily. 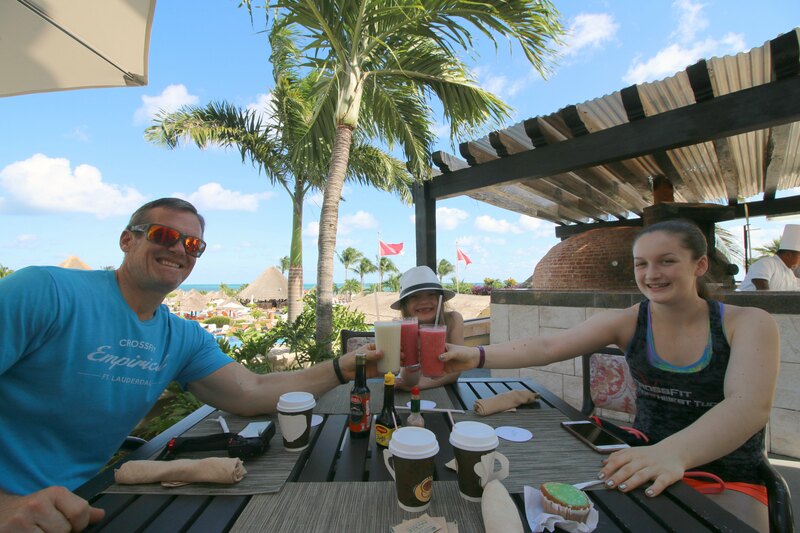 Staying at Moon Palace Golf & Spa Resort Cancun really was a vacation we will remember forever! 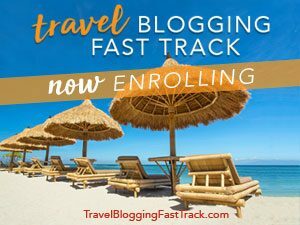 Moon Palace has provided me with a special link for my readers. 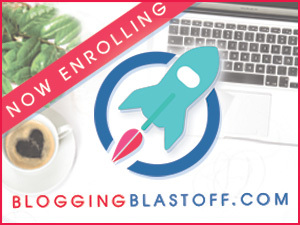 By clicking this link, you will always be directed to the best available deal. This is an amazing place! I would love to go there again, it looks like a dream. I so would like a vacation like this. The food just sounds so good, I might gain ten pounds. And that pool! My kids would love it. i am jelly right now this looks like a blast. i must go one day! I love that they have a Teen area for the younger ones to hang out in. Also, the pool looks beyond amazing. I’m sure you all had a fabulous time. 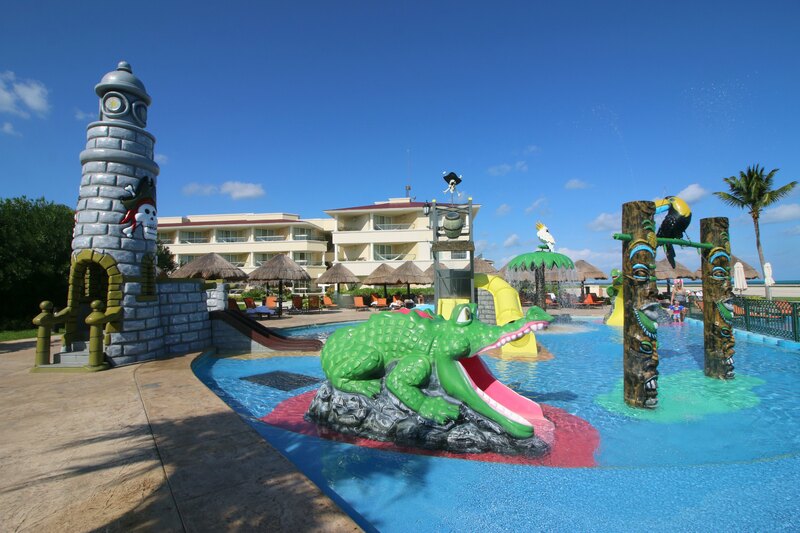 The Moon Palace resort looks like an awesome family destination. I will have to find a way to visit Cancun next year. I’ll share this post with my family, maybe they would want to plan for a vacation there too. Wow. Perfect getaway for summer. I would love to visit this too. I am serious need of a vacation! Especially one that includes and takes care of everything! 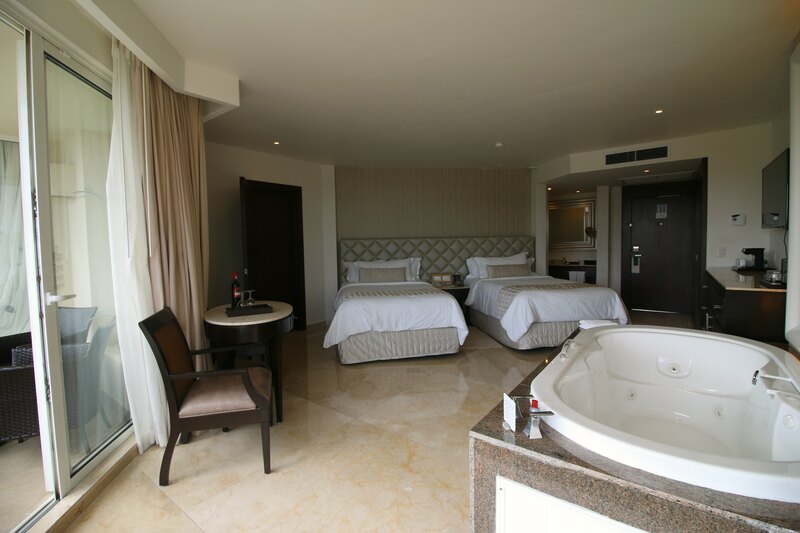 The beach, the pool, the food, YOUR ROOM! It all looks incredible! This place looks amazing! 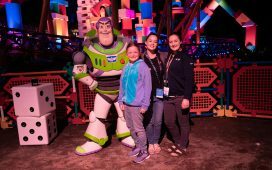 I love that it has stuff that the whole family can enjoy together or separately. You can’t go wrong in a place like this! 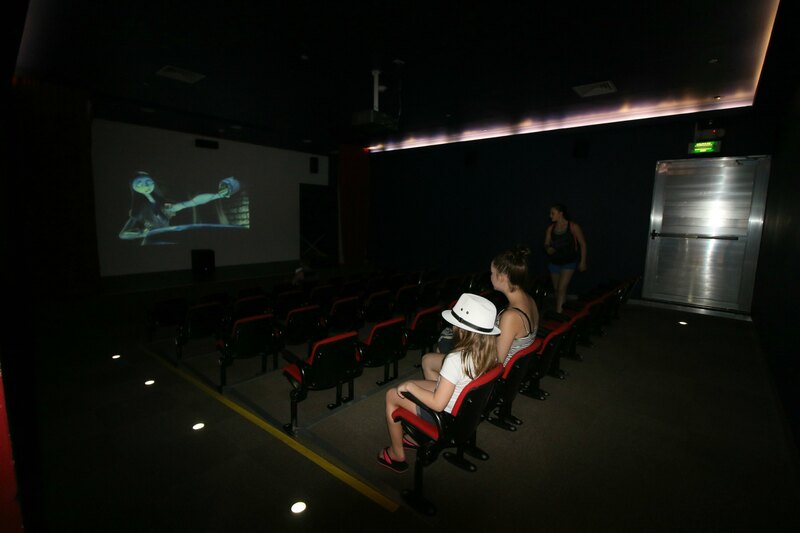 It’s awesome and it’s perfect for the kids. I like that they have a lot of activities inside the hotel as well as outside! I want to go somewhere like this when it gets cokder here! Looks like you had a great time !! 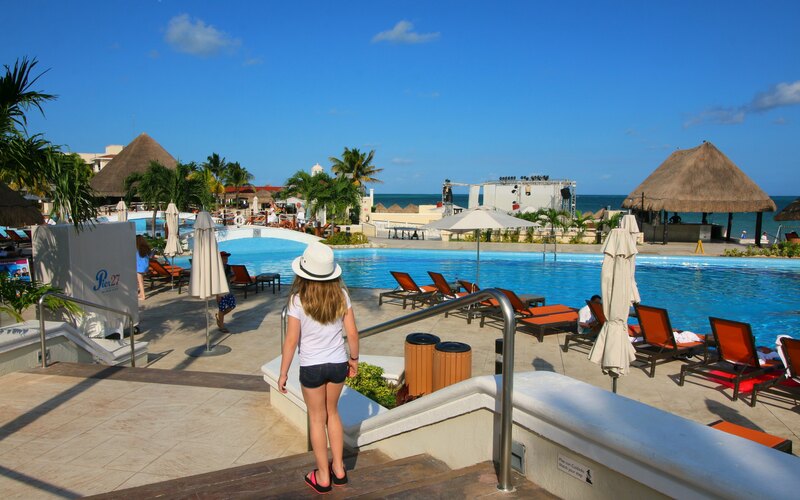 My daughter just visited Cancun this past summer and she had a blast. Wow! 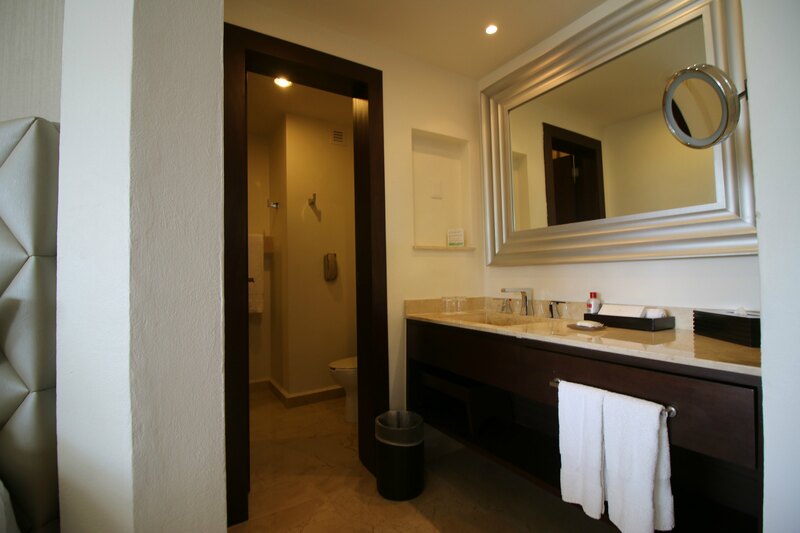 What a lovely place to stay in when you’re in Cancun. I’d like to vacation here some time next year! It would be so relaxing and fun! Great review of the place. Loved all the pictures. This looks like an amazing family resort!! 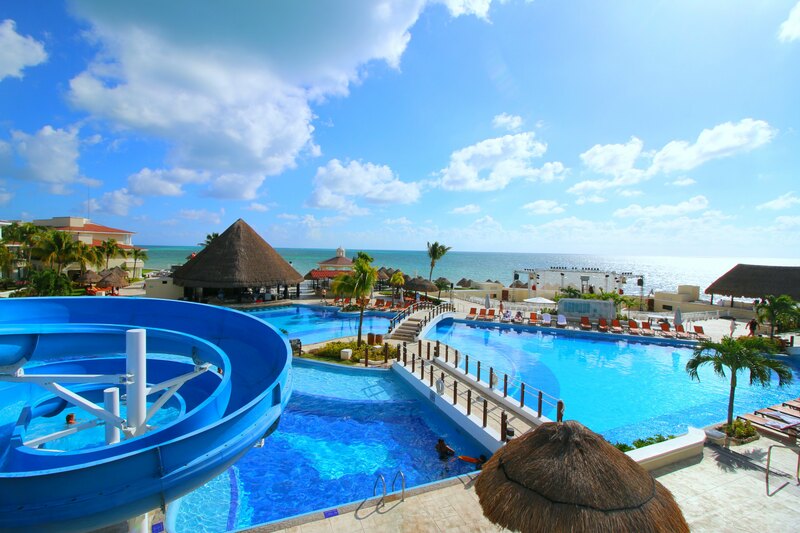 I know my whole family would love a trip to this resort in Mexico! Wow! That looks like an absolute blast and the outdoor photos are gorgeous! Thanks so much for “taking” me there through them. My favorite vacation was Punta Cana! This review is awesome, I wish I can go there as soon as possible! I went to Cancun as my senior trip and had a blast. It’s time to go back. I do love how blue the water is too. And hurrah for soft sand. 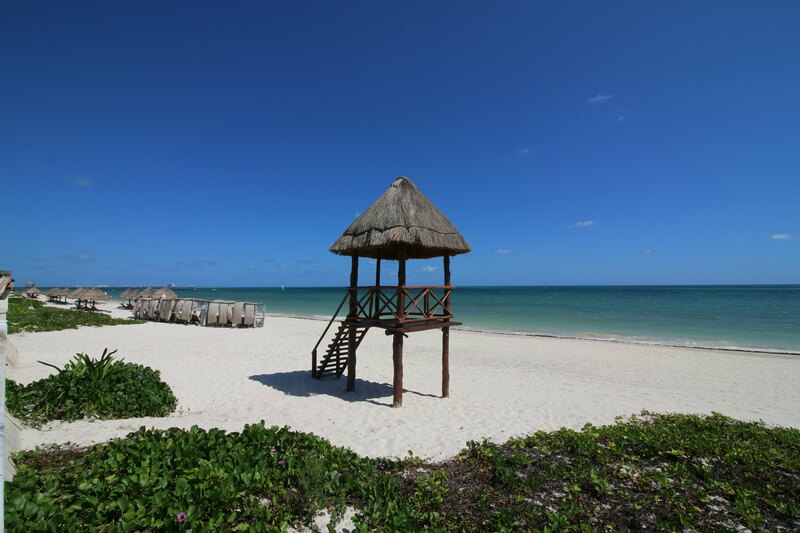 Cancun looks nice. Oh man, does this look like so much fun! I’ve got the travel bug now. I am so very, very, very excited to go to this superb resort. I simply cannot wait. What a beautiful area! 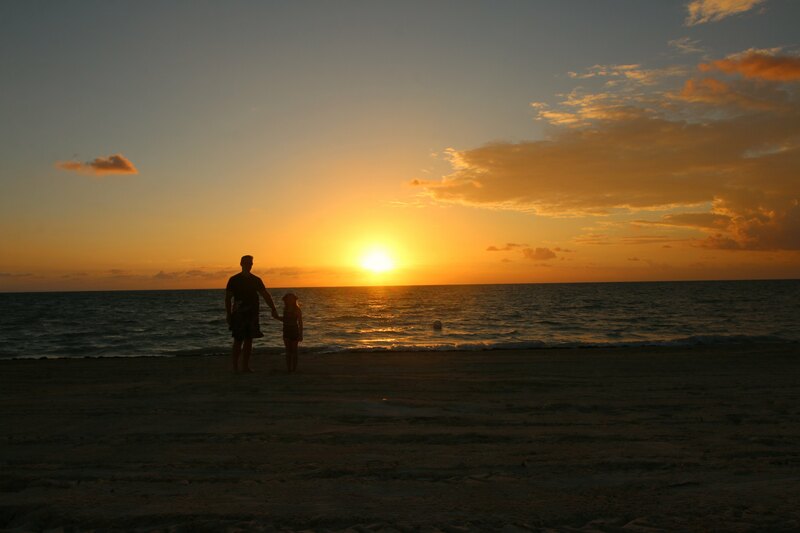 I love the scenery, I’m a beach girl to the core…. 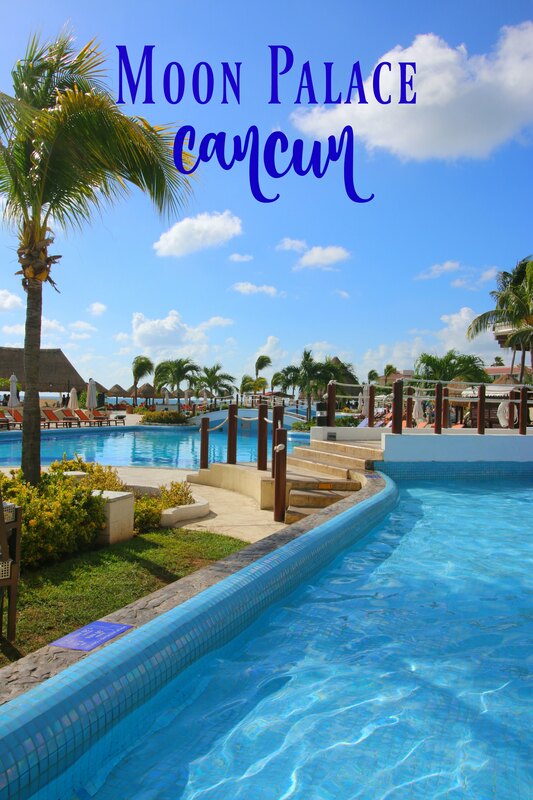 My husband and I visited Cancun in January and had a gorgeous time at an adults only all inclusive. 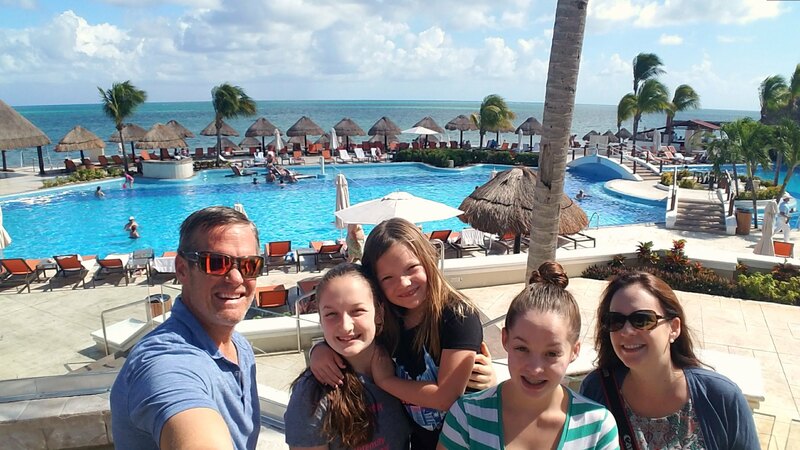 We are already planning a return trip with the kids around the holidays and will keep Moon Palace in mind. I was married at the Moon Palace 10 years ago. It has changed very much since then and I would love to return with my children to see all of the updates! 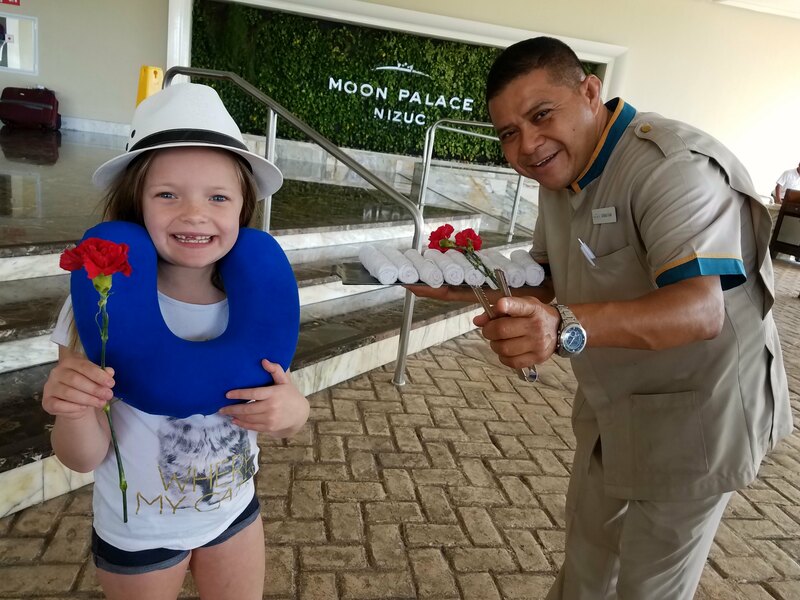 Moon Palace is so much fun! We’ve been with my in laws 3 times. We love Momo’s (Japanese) and the blue slide in Nizuc too. The new children’s play center at the Grand is amazing! Our boys, ages 5 and 3, had a blast with all the games and the indoor jungle gym. We spent a bit of time there every day when we visited in mid May 2017. Hopefully when we go back in ’18 or ’19 the big water slides will be open. Can’t wait! 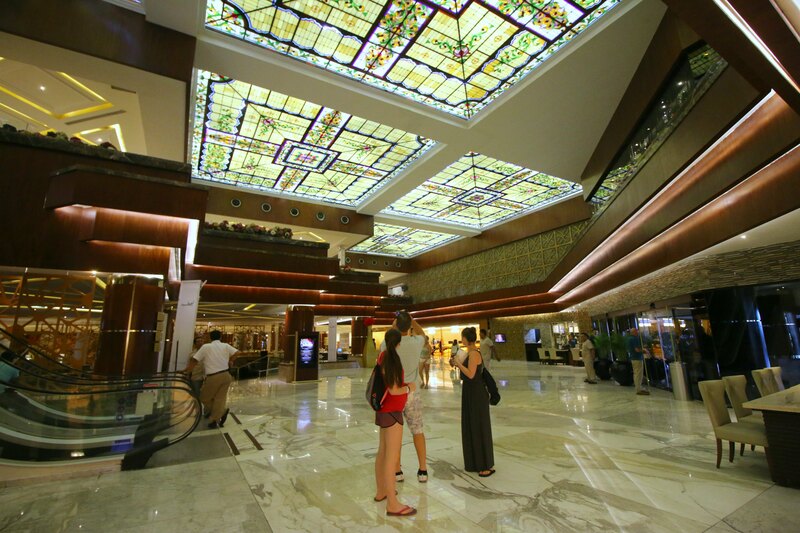 nice moon palace review! hoping to visit there soon! This place looks really nice. As a keen golfer I would love to go. I’ve stayed at Moon Palace when it was first built. Absolutely my favorite pool of any destination yet. Looks like the added more so I better go back. We want to go back too! Thanks for stopping by!